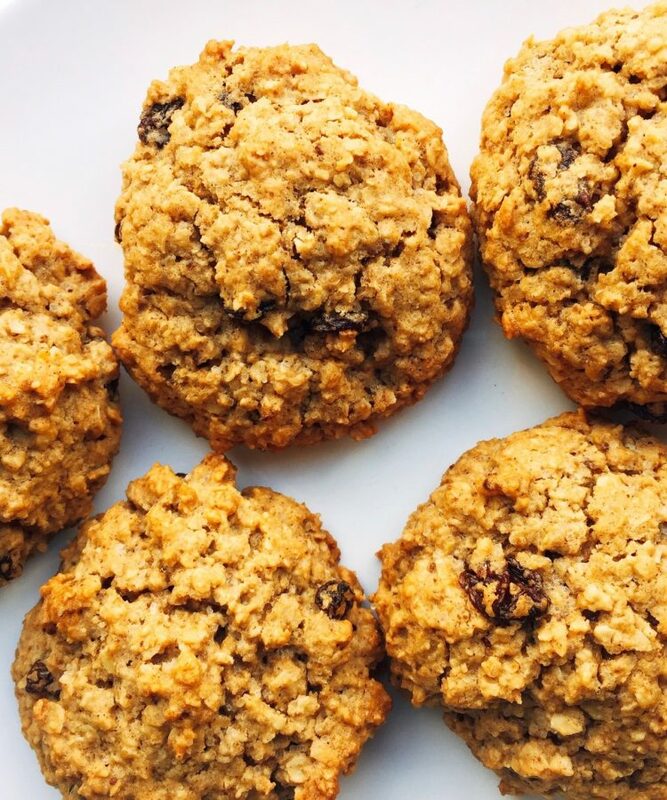 Even someone without a sweet tooth can’t resist an oatmeal raisin cookie. 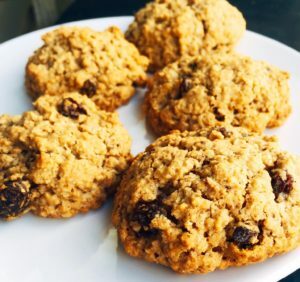 Soft in the middle and packed with oats and raisins (obviously…) these are also on the more nutritious side of dessert. Mix together dry ingredients (flour, baking soda cinnamon and salt). Set aside. Beat together margarine and sugars until creamy. Add eggs and vanilla; beat well. Add in dry ingredients. The recipe makes quite a few, and the key is resisting the urge to speed up the process by rolling huge balls of dough. Keep them tiny and you’ll have perfect little cookies.